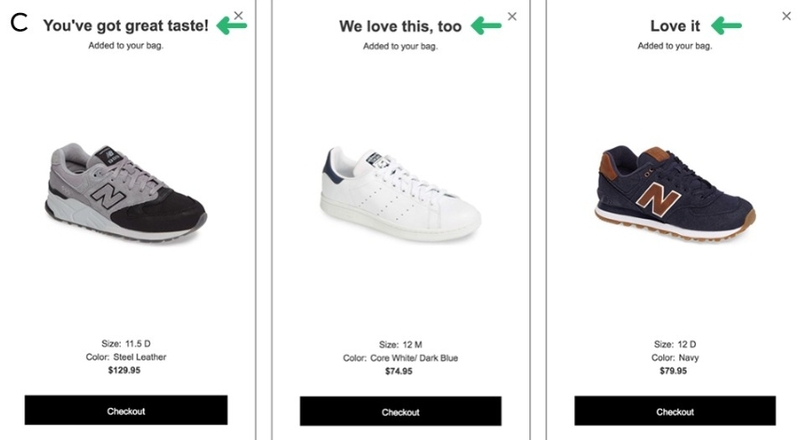 Micro UX for your eCommerce store: offering a unique experience for the customer. The first thing to remember about micro UX: it’s a strategy intended to boost your eCommerce conversion rates. 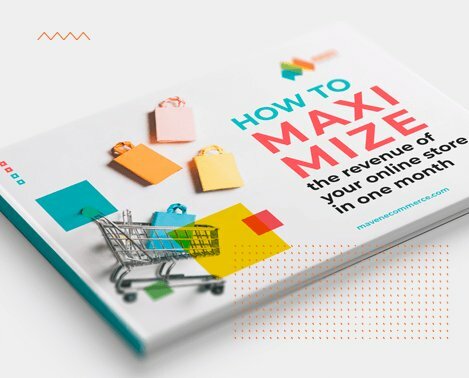 Along with that, it emphasizes your brand’s uniqueness, strengthens the credibility of your eCommerce store, reduces bounce rates and attracts the customer to make purchases in your store again and again. There are even more benefits in implementing such strategy. And this can be easily explained: you are providing the customers with the non-standard and exciting user experience. One of the top customer preferences this year is personalization. It’s worthwhile to pay attention to this nuance as micro UX makes the interaction between your business and its customer highly personalized. So, let’s take a closer look at some examples of micro UX. When you add an item to the cart, it starts to jump and asks for more. It’s a perfect call to action. It has an entertaining effect and encourages the customer to make more purchases. This is a distinctive feature of Threadless. And what about yours? Create your distinctive features and stand out from the competition. When we talk about enriching user experience, it usually concerns both content and design. Do you often see online stores making compliments to their customers? There are few of them, but they exist. Such small details are very delightful for online store visitors. They create a desire to do much more and to discover more interesting things on the store. Another feature which will increase the number of your online store visitors. I’ll tell you what – if you know how to customize your products, do this. It’s time to leave the hesitations behind. 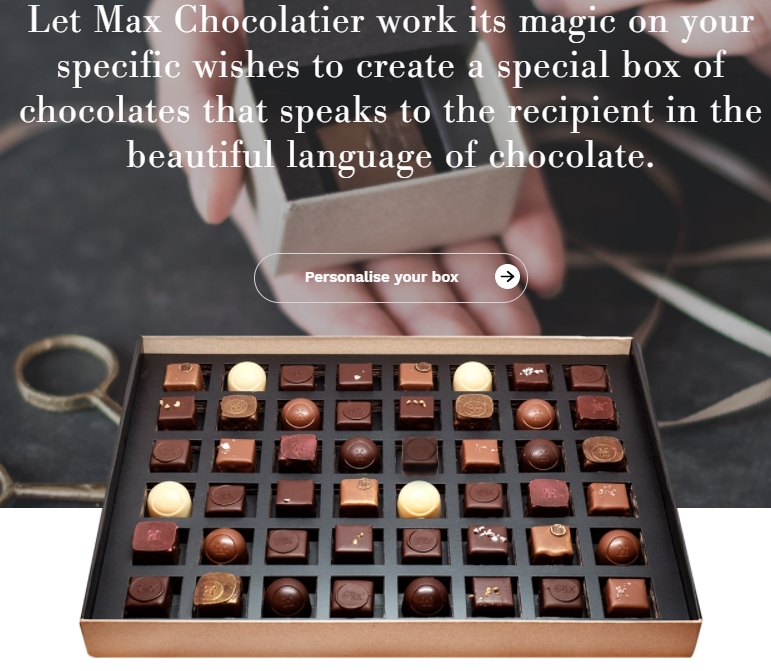 Take a look how Max Chocolatier offers his customers to make their own box of chocolates. When I saw his store, I swear, I was ready to make a purchase after 15 seconds. I have spent more than 30 minutes on his website. It’s impossible to stop because each page of the store allures you to learn more about the product. Have you noticed how the call to action sounds? It’s all about micro-content which is harmoniously connected with the image. “Specific wishes” and “special box” are two key phrases here. It shows the customer that he will get something unique. Do not be afraid to use the soft sense of humor in the content where relevant.